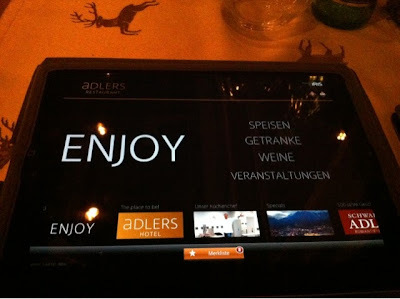 Yesterday evening I tried a completely new dining experience in Innsbruck, the new Adlers Hotel and Restaurant situated in the top floors of the new PEMA headline tower next to the main station! 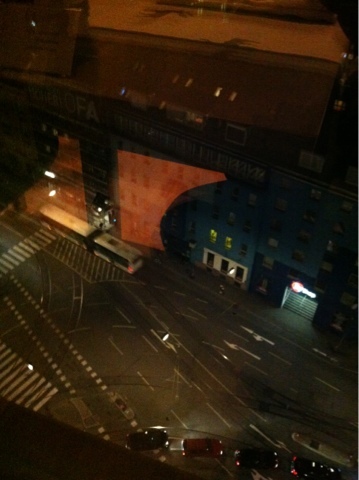 We took the elevator to the top floor and I was standing in the middle of the new and very cool bar! The wife of the owner greeted us personally and guided us together with the server to our table! She also made sure that we got the best available table - and it was an amazing table directly on the window with Innsbrucks best views! The server was nice and efficient and brought us the menu immediately! He also asked us if we need help how to use the ipad menu, but we wanted to try it by ourselfs. 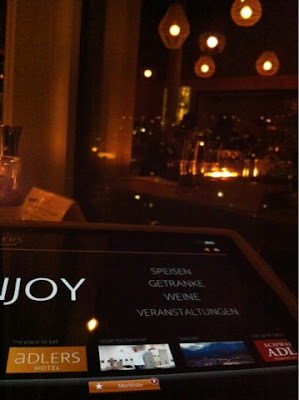 It is really amazing if you can choose the meals on the ipad espacially for a town like Innsbruck! The only problem with this system is that you cannot choose the dishes and sent them to the server immediately. You first have to choose the dish and swipe it to the Favourites and he collects them! I ordered a Capuccino of pumkin, which was not yet perfect but above good! Afterwards I took the roasted duck breast with a duett of puree. 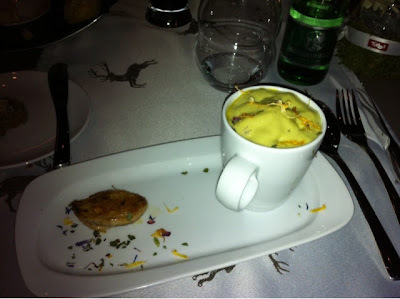 The duck breast and the Bergamot sauce were very good, the carrott puree good and the green puree was not my taste! As the portions are not on the small side we had no more space for an kind of excellent-sounding desserts. Next time I will let space for one of them! 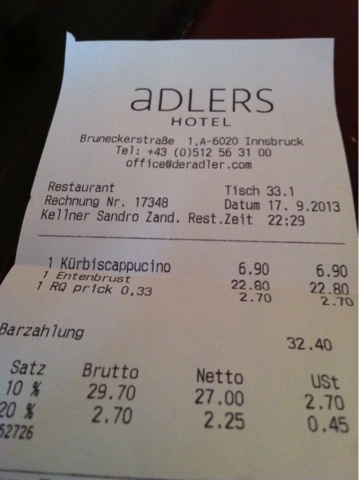 At half past ten, we asked for the bill and paid about 34.00 Euros for these two courses, a small sparkling water and tip! Conclusion: It is a luxurious place to dine, not cheap but the views come up to it!